The so-called "Tobacco 21" proposals would also include vaping products, which have grown quickly especially among teens. The Tennessee legislature is considering whether to raise the smoking age from 18 to 21. It's a move that even has some support from one of the world's largest tobacco conglomerates. There are at least three proposals floating around the legislature that would increase the age to buy tobacco products, including — importantly — electronic cigarettes. The sponsors pitch it as a simple and logical step to improve the state's health since Tennessee has one of the highest rates of smoking and deaths from related disease. Sen. Shane Reeves, R -Murfreesboro, says the only resistance he's found is among a few convenience store owners worried about sales. "I thought tobacco would be really, really upset about this," Reeves said during testimony to the Senate Commerce Committee. "Here's the truth: You know how many people have been to see me in my office on this from tobacco? Nobody." In fact, Altria — which owns Philip Morris USA — is backing one of the proposals to raise Tennessee's tobacco age, primarily to address underage vaping. The growth of e-cigarettes among teens has been so rapid that the Centers for Disease Control issued a special warning late last year. "Tobacco harm reduction for adults cannot succeed without effective measures to reduce underage use of all tobacco products," Altria spokesman David Sutton says in a statement. "The best approach to achieving this goal is to increase the minimum age for purchasing tobacco products to 21." Altria's support of raising the tobacco age is a recent turnaround, though one that is welcomed by anti-smoking nonprofits. "It certainly is awkward and uncomfortable, but it doesn't matter if they're supporting a good bill," says Amy Barkley, regional director for the Campaign for Tobacco-Free Kids. "We could question their motives, but we could never know why they're doing it." On the issue of vaping, Altria recently took a 35 percent stake in JUUL, by far the largest player in the e-cigarette business. And the vaping industry's trade groups have largely opposed so-called "Tobacco 21" laws, which have passed in seven states and hundreds of cities. Some lobbying groups even argue vaping should not be treated like tobacco under the law. "These are people trying to quit smoking, not people trying to get started," says Robert Arnold, founder of Nashville-based Saffire Vapor. Arnold's company has quickly become one of the largest vaping retailers in Tennessee, and he says 18-to-20 year-olds represent a small part of his business. He opposes raising the legal age to 21, but he's also not planning to actively lobby against it. Still, he doubts that the age restrictions would curb underage use. "Look at alcohol," he says. "It's not like alcohol doesn't make its way into the high schools." The primary difference between the proposals in the legislature are the penalties. The legislation sponsored by Reeves and backed by nonprofits like NashvilleHealth Tobacco-Free Kids and the American Cancer Society (SB1200/HB1454) would eliminate punishment for teens trying to purchase tobacco and increase fines on retailers for underage buyers. The bill supported by Altria (HB1459/SB0849) does not include additional penalties for retailers. It's also the only one that has begun advancing, with approval by the House Public Health Subcommittee (though Chairman Jerry Sexton, R-Bean Station, voted against it). A third proposal (SB0280/HB0764) from Sen. Rosalind Kurita, I-Clarksville, has been put on hold, with Kurita throwing her support to the Reeves bill. But the biggest barrier to passage may be the cost. The state would lose an estimated $7 million in tax collections. However, with roughly 350,000 smokers on TennCare, supporters argue the decrease in health care costs could quickly make up for the reduced tobacco taxes. According to TennCare, the cost of tobacco-related conditions approached $150 million in 2018. Tennessee lawmakers have voted to ban sales of e-cigarettes and other vaping products to anyone under 18. The decision extends the state's ban on sales of cigarettes to minors. Rep. Joe Towns (D-Memphis) says the measure, Senate Bill 411, will keep teenagers from harming themselves. "It's a good piece of legislation," he says. "(We) should have done it a long time ago." The bill would go into effect July 1, if signed by Gov. Bill Haslam. Drug and alcohol use is down among teenagers, now to its lowest point in the last 25 years. An annual, federally-funded survey out of the University of Michigan finds about one in six high school seniors reported getting drunk in the past month — down from a high of one in three in the 2000s. The study does show one spike: the use of e-cigarettes has nearly doubled since last year. New rules issued Thursday by the Food and Drug Administration could have a big effect on the electronic cigarette industry, which will now have to submit products for a safety review if it wants to keep them on the market. The same holds for new products. 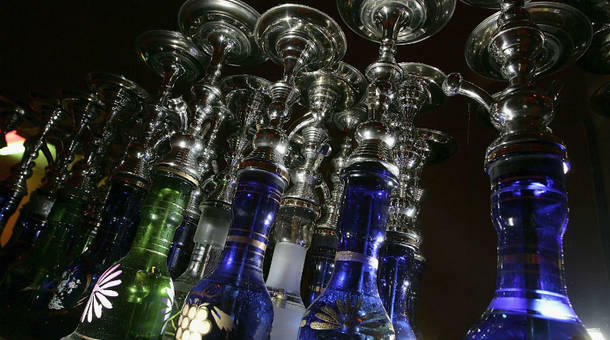 The rules would also impose restrictions on products like cigars and hookah tobacco.